This is the 4th and last part of the series on Stock Markets articles Newcomers. In other parts we discussed some important things which newcomers should know when they enter Markets. In this article we will see how a new comer in stock market should start. Go through other 3 parts before this to get maximum out of this article . There are 5 things a new comer has to do , I will call it CLOPS model of starting in stock Markets . This model of learning is totally obvious and logical and applies to all the areas of life. Stock Markets are no different. Lets see each of them separately and what they mean in Stock markets. The first thing a newcomer has to do is to calm down and not rush. Just be where you are. Most of the people come in stock markets and its totally a new place for them and every thing looks like a great “get-quick-rich” opportunity to them and they want to make most of that once-in-a-lifetime opportunity. They don’t know its every-day thing in stock markets. Markets are like a wonderland for them. Markets are not going anywhere and its more true for the opportunities they provide. So the first thing is to just calm down and do-not rush to get in. There are other important things you have to do before you get-rich-quick. Most common mistakes which newcomers do is mainly because of excitement and getting in without preparation not because of lack of skill or because of there abilities. When you calm down first and don’t get excited you are doing an important thing which is not jumping in without thinking and making yourself ready for another important things which are discussed below. 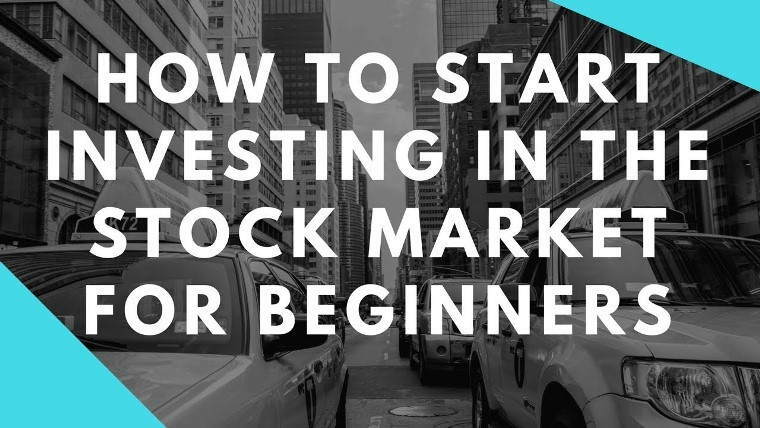 The next step is to Learn, Learning is an ongoing process which will never stop as far as Stock markets are concerned, but at the starting level you need to learn lots of basic stuff. Read how Stock markets are structures, what are different indices, what is Nifty and Sensex? What are the factors affecting markets? How to analyse a company? what are important things to consider while investing? After learning, the next thing is to Observe the markets. See market movements, watch how prices are behaving on each news or with volumes, see what kind of patterns are developing on charts and does it behave every time in almost same way? Look at how market behaves in relation with Nifty PE in this post. When you observe these things, you will develop some understanding on relationship and you can validate those with what you have learned so far. A good amount of time should be given to this, markets have different faces and you need to see all the faces, just one good up move is not enough, see at least all different kind of moves. Up-move, Down-move, trading in range. All of these in different time frame. You can actually start this early and do it side by side your learning. Collect charts for each day for later reference so that you can see it later. If you know some programming , make a small program which can download the charts from yahoo customized to your purpose. I have downloaded 15,000 daily and weekly charts for all the Nifty, Midcap stocks and Asian Indices. I can go back to them and test any of my strategy on those charts. Keep History to learn about the future 🙂 . Now come the fun part and very important part, Practicing what you will do in real. So you have learned things and observed things, now is the time to practice. Before you try out anything in stock market with real money, just see if you able to make any money with practice or not. These are the statistics you should keep in mind and see how you are progressing each week, Don’t concentrate on each trade too much. It’s better to have a weekly target while you are practicing. I would recommend at least 2-3 months of practice. This step is important because when you get into market to trade, its totally a different thing. Your reactions to markets movement will be too different than what you had thought. If you jump in markets without practice, you will do lots of mistakes. Better practice before getting in real. Important thing here is that even with practice (without money). It wont help you a lot but will give you good idea of things. The fun part comes when you start with money then you truly get idea of your behavior 🙂 . Some people think practice is taking all the time and they are losing all the money, which they “could” have made. This is a wrong way of seeing things. Though it looks like a opportunity lost, you are in learning mode and the best part is that you are not “losing” anything and getting ready for making money. There is a chapter on Practicing from a book “Enhancing Traders performance” on this post article by Brett Steenbarger, download it and read, its copyrighted material so i cant put it directly here. Now after you have learned things, Observed things and Practiced, here comes the last part, Starting Small, Start putting money in markets in small quantities, Grow gradually. View your self as a small baby who has just born, first start moving, then crawl, finally stand up one day and walk, once you can walk with speed then try Marathon. The same thing applies to Stock market. But most of the new comers just want to win the marathon and start running fast without understanding that there body is not ready for marathons. they need to first know how to crawl and they want to win marathon. You will fall a lot of times, you will have losses and will make money too. But if you don’t start small, one big loss will wipe you out of markets. In the start it would be difficult for you to control your losses, you will need to have string of losses and the best way to tackle the situation is to start small and put little money in markets so that even a series of bad trades don’t hurt you much. Many people may go slow and play small for learning and practicing part but when they start with real money, they start too big and that’s because of there over-confidence that are now ready to make money. First crawl baby, Marathon is long way to go. Make your legs healthy first, then dream of running. Each and every newcomer in the market, should understand that Stock markets are places and from centuries people are trying to make money from it consistently but very few people are successful! This profession has very less success rate if your compare it with other professions like Medicine, Engineering, Computer Science etc. There has to be some reason why you need to give time to it and learn things here. Take it as another professional course like any other and work hard on it. I think one should seriously give around 2 yrs for learning purpose. See it as a career not just another place to get-quick-rich, that doesn’t happen in Stock Markets. Its a gradually getting rich place rather than get-quick-rich place. There is a famous quote in markets that “There are old traders and bold traders in stock markets, but not both”. that’s true! Thanks manish for your Valuable articles. Once again a very nice article Manish ..
Just 1 thing i want to mention is that the books mentioned in the article like Common Stocks and Uncommon Profits by Phil Fischer (i have read that book) are bit difficult to understand by newcomers like me .. sometimes very high-fi concepts are mentioned there .. So it would be very helpful if you can mention name of the books for absolute newcomers .. Thanks for sharing that Pratik ! Thanks so very much. Your explanations in such simple ways has helped me to venture into stock market. Being a beginner I am now ready to take that step in a very positive mind. Your valuable information will help me a lot. Perfect Guidance with Lucid language. Really helped me understand and plan my beginners role in stock market. CLOPS Superb….. I think your blog has all the valubale information in the money matter…. This blog is very useful for beginners…. Thanks 🙂 . Keep reading ..
Oh! I did all this and sensex tanked to 8k from 20+k! They say, Bobby Fischer was the only intelligent chess player, others were trained superb machines. So there is only one Buffett and only one Jhunjhunwala. Stocks is an arena where traders are ringmasters and players(investors ?) are the lions. Great post, it will surely help many people who want to invest in stock market. According to me start small is the perfect point. I am a beginner in stock trading and I believe that the stock market is the best place to invest money. I also understand that in stock trading, I have a 50-50 chances of losing and gaining. So I joined Etrade which offers more value for my money and superior trading tools that helped me kick start my investment career. Also, Etrade has an amazing stock trading community where I could gain valuable market insights and analysis without bias for free. thanks for stopping by and reading the articles 🙂 . I have added it now . Thanks a ton to remind me that . Excellent article as usual.. One suggestion … You may want to add Shyam Pattabi's site also as reference along with Rohit's. I feel along with your site, these two site's give the most valuble and unbiased information to beginers.